Sshhh…can you keep a secret? 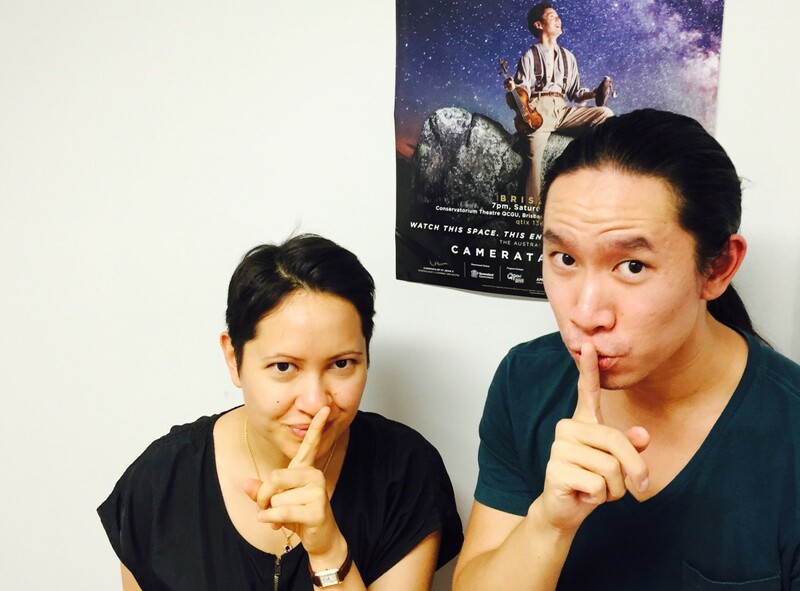 We wouldn’t normally reveal the mystery segment until the concert…but our Violinists Allana Wales and Jason Tong couldn’t keep this one secret any longer!! Our mystery guest segment in our upcoming Home concert on 5 March will be Australian composer Carl Vine’s beautiful Love Me Sweet as heard in the 90’s TV series, The Battlers. We couldn’t possibly tell you who the mystery guest artist is joining us though…that would be breaking too many rules! But we can say that this rising opera star will certainly bring the house down!! This wonderful music forms part of a stellar program celebrating the work of Australian composers. We will also welcome for the first time, dancers from the Aboriginal Centre for the Performing Arts for a very special moment in the Australian premiere of Cameron Patrick’s Lines of the Southern Cross.